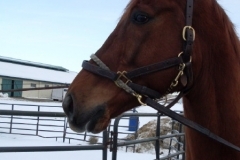 Golds Anatomy was purchased as a Bits & Bytes Farm Prospect Horse in May 2009. 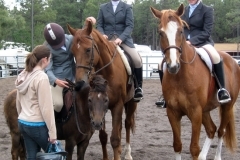 Now in June 2010 his Pony Club rider/mom, Laura, took him to his first recognized Area X Horse Trials. They earned second place in Jr. Beginner Novice! 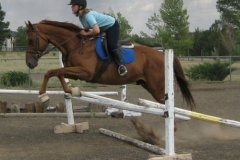 OTTB Gold Anatomy is learning to jump. 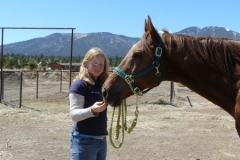 Golds Anatomy was a Bits & Bytes Farm Prospect Horse in February 2009. 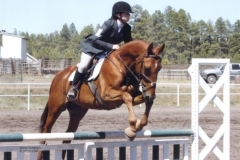 Gold's Anatomy is the new Pony Club mount of Laura Hempleman.